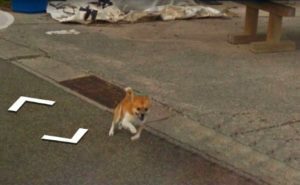 Dog Follows Google Street View Car In Japan With Hilarious Results. 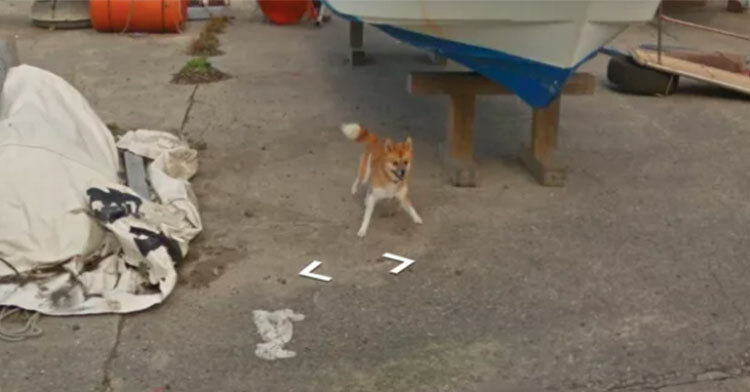 Ah, Google Street View. This easy-to-use Google program makes it so simple to digitally wander around just about any city in the world, which is perfect for travel buffs scouting out their next adventure. In fact, it doesn’t stop at cities. You can actually scope out some pretty remote places, like small towns and villages. 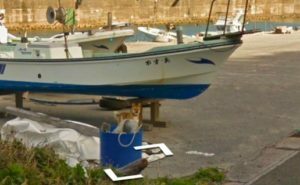 If a car can access it, Google can document it. 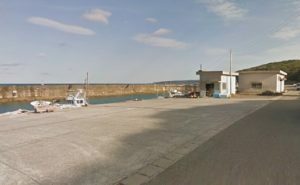 Google Street View cars equipped with cameras make their way around these global locales and take enough footage and photos to create a digitally walkable map. 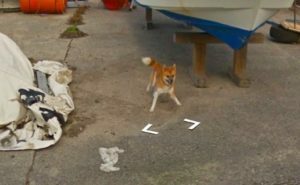 Over the years, the vehicles have captured some unnerving things, but what one in Japan just caught on camera is honestly too cute for words. 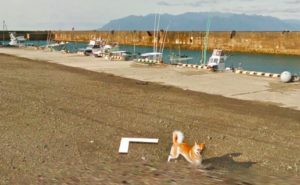 While driving through the Kagoshima Prefecture in Japan, one Google Street View car got way more than it bargained for when an adorable pup decided to photobomb every single frame. 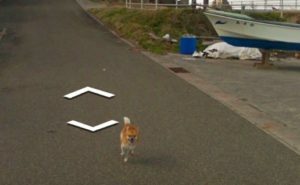 The dog spotted the car in the Kumage district and immediately gave chase, following it for quite some time, blessing us with pure, unadulterated preciousness. Why was the dog chasing it? We’ll never know. All that matters is that it did and for that, we are eternally grateful. You know that slightly deranged look your dog gets on its face when you pick up a ball? Yeah, this is basically that on steroids. 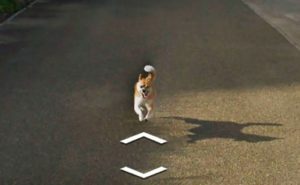 The pooch clearly had a serious case of the zoomies and was not about to let that car get away before capturing its good side for all the world to see. We feel this spiritually. What we have right here, folks is an icon. 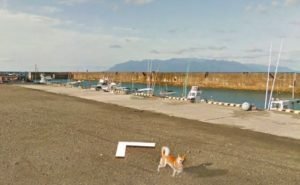 Follow along with this endearing little pooch using the map below and be sure to share it with your friends so you can start planning your trip to Japan ASAP.